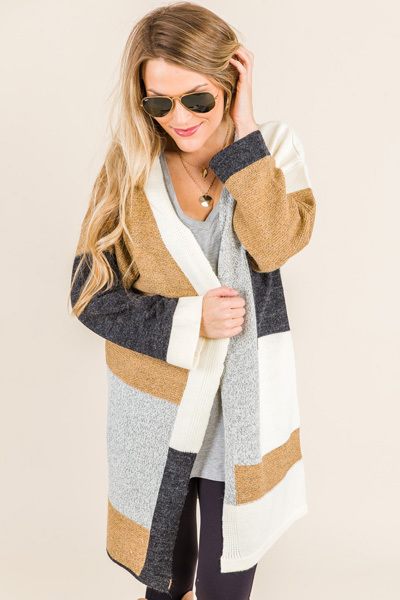 Say hello to the cardigan of your dreams! 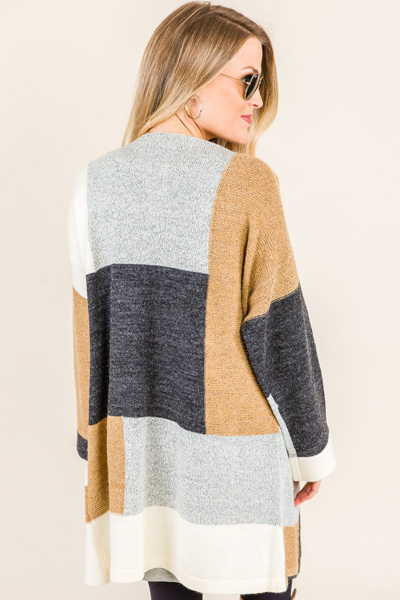 The neutral colors make it easy to pair with anything and the boxy sleeves + longer length will have you feeling you're all snuggled up with your favorite blanket. 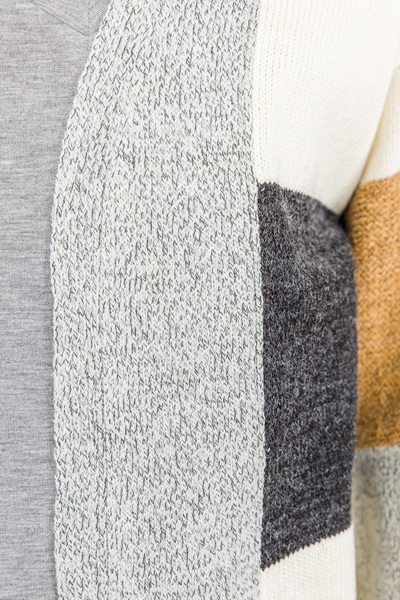 The breezy knit is made for an acrylic blend, and offers plenty of stretch.